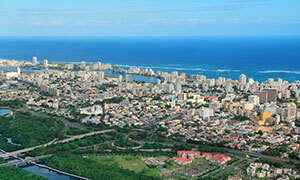 Why bring your business to Puerto Rico? Simple. Given its very particular political, economic, social and geographical condition, Puerto Rico offers unique advantages and valuable incentives to those who invest in the Island. We can help. Puerto Rico, located in the Caribbean, is strategically located between North America and South America and is the link between the United States and the Latin America markets. Since the 1950’s leading multinationals, such as pharmaceuticals, information technology companies, leading hotel flags and more recently renewable energy projects have opted to establish operations in Puerto Rico and reap the incentives and other benefits that our jurisdiction offers. The Island enjoys a wide cultural diversity founded in the different backgrounds of people that have converged in the Island throughout its history. Many of our residents, who are United States citizens, are fully bilingual (Official languages are Spanish and English). Puerto Rico has highly educated human capital; more than 30,000 university degrees are granted annually, including 10, 000 in the science, mathematics and technology areas. Therefore, most of its workforce is highly educated and focused on providing a high standard of quality and services. Puerto Rico, the smallest of the Greater Antilles, boasts beautiful coasts and beaches, luscious rainforests, dry forests, bioluminescent bays and mountainous areas that make it an ideal destination for touristic purposes. Old San Juan, located in the north area of the capital, San Juan, has multiple historic venues that offer a look into its rich history. Also, the average temperature of 85 degrees Fahrenheit provides ideal weather all year long. Puerto Rico’s current population is approximately 3.8 million and the median age of Puerto Ricans living in the Island is between 32 and 37. Puerto Rico’s GDP is $62.8 billion and the GDB per capita is $22,994. The United States dollar is the official currency of Puerto Rico and no passport is required for United States citizens when traveling to and from Puerto Rico and the United States. Our main airport is easily accessible from most hubs (New York, Miami, Texas, Panama City and Madrid) and travel within the Island is extremely accessible and fast. Puerto Rico enjoys United States constitutional, legal, financial and regulatory protection, including for intellectual property and Homeland Security matters. Its banking system is regulated under the United States laws and insured by the Federal Deposit Insurance Company (FDIC) and our access points are protected by the U. S. Customs and Border Patrol. Puerto Rico enjoys the benefits of being a United States free trade zone and our citizens and residents enjoy federal grants and funds available to the United States citizens located in the mainland. It also shares common military defense with the US. Puerto Rico’s energy system has a capacity exceeding 5,500 megawatts and water and sewage system throughout the Island; both utility services are publicly operated. Puerto Rico offers a modern transportation system with various components including a metro system known as the Tren Urbano. World class venues, such as the Puerto Rico Convention Center and the Puerto Rico Coliseum, have made Puerto Rico a vibrant business hub and a leading destination for groups and conventions. On the tax front, Puerto Rico enjoys fiscal autonomy. The local tax system is regulated by the Department of the Treasury of Puerto Rico. Because Puerto Rico is a United States territory, corporations are not subject to federal taxes unless earnings are repatriated. In turn, the corporate tax structure provides benefits of operating at a United States jurisdiction while providing tax benefits of a foreign country. Puerto Rico has also developed laws providing incentives and tax exemption benefits for multiple industries and activities, including manufacturing, research and development, exports services, tourism and film, among others. Recent legislation provides aggressive benefits to individual investors that become Puerto Rico residents. * The materials and information provided by Ferraiuoli LLC on this website are for informational purposes only and should not be construed as legal, tax or financial advice.